6ft. USB 3.0 SuperSpeed cable with type A to B connectors for Desktop, Laptops, and other USB 3.0 devices requiring data transfers of up to 5Gbps, compatible with USB 2.0 host port connections. Provides a 6ft USB 3.0 connection from host to device. 6ft. USB 3.0 SuperSpeed cable with a type “A” and type “B” connector ends. This cable is durable and can process data speeds of up to 5Gbps with computers and devices using USB 3.0 compliant host ports. This 6ft. 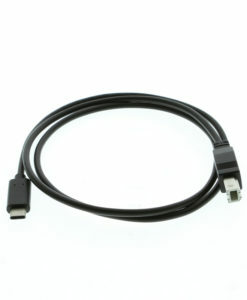 USB 3.0 device cable is USB 3.0 compliant to current specifications. Connect this 6ft. SuperSpeed cable to your new USB 3.0 compliant Desktop, Laptop, Hub or other USB 3.0 device and start working faster without needing to be any smarter!